Former SUNY-Fredonia forward Sam Wilbur signs with Oilers for 2018-19, after appearing in 12 games last spring. 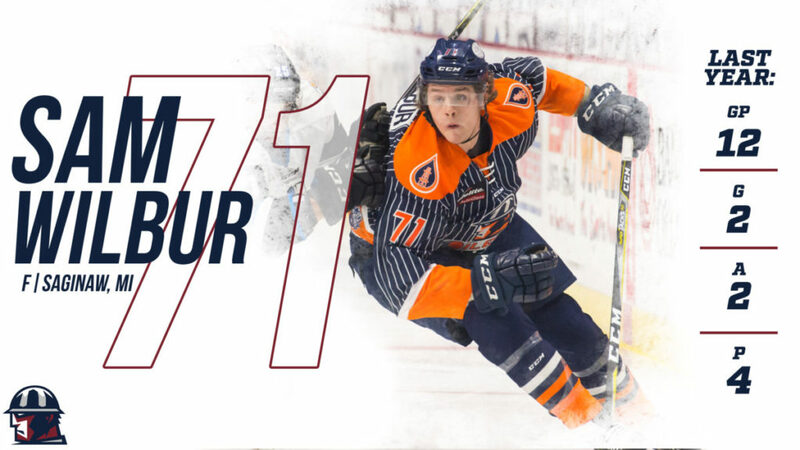 TULSA, OK – The Tulsa Oilers, proud ECHL affiliate of the National Hockey League’s St. Louis Blues, and Head Coach Rob Murray announced Thursday the signing of rookie forward Sam Wilbur for the 2018-19 season. Wilbur, 25, starts the 2018-19 season where he finished in the spring. The Saginaw, MI native joined the Oilers in March and recorded 4 points (2g, 2a) in 12 games for Tulsa at the end of the 2017-18 season after finishing his college career at SUNY-Fredonia. Wilbur notched his first assist in his professional debut March 10 vs Wichita and tallied his first career goal March 16 vs Kansas City. After a year of college hockey in Canada at the University of Lethbridge, Wilbur racked up 80 points (34g, 46a) in 77 games in his three seasons at SUNY-Fredonia in New York. The 6’2, 201 lbs forward also served as an Assistant Captain for the Blue Devils his senior season.